When you first become a parent, everything is likely to make you nervous. After all, ensuring that your baby is healthy and happy will be your number one priority (as it should be). And while you should definitely maintain your focus on your child’s well-being, part of becoming a parent is knowing when to freak out and when to relax. Otherwise, every little moment in your child’s life will present an opportunity to fall into anxious fits and panic attacks. Take the little things in stride and recognize that not all problems are earth-shattering. It’ll help you focus on what you really need to worry about. Raising a child without any help at all is a difficult task. Indeed, it’s about as daunting as it gets, really. That’s why it’s important to seek out reliable help from time to time. Calling on friends, family members, and trusted professionals isn’t a cop-out or a sign of weakness; rather, it’ll broaden your little one’s horizons to spend time to with other people, and provide you with a much-needed break at the same time. Too often parents have difficulty adjusting to the way their children react to new technology or concepts. Just because things were different when you were a kid it doesn’t mean you should dismiss your child’s interests or stifle their creativity. Don’t close the door on something your kid wants to do just because you don’t understand or appreciate it. Instead, take the time out to empathize with them and support them in any way you can. This should be a given, but a bit of practical advice here: visit a trusted M.D. 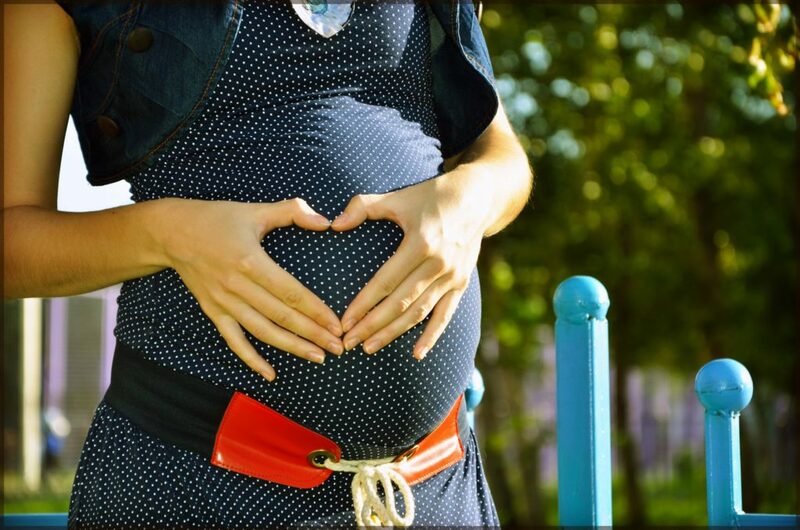 early and often during your pregnancy –– and schedule plenty of appointments afterward as well. This includes a wider array of tests, procedures, and practices than what you might first imagine. For instance: every expecting mother should get tested for STDs, since certain infections can cause complications during pregnancy. (In some cases, you could even inadvertently pass on an STD to your newborn!) 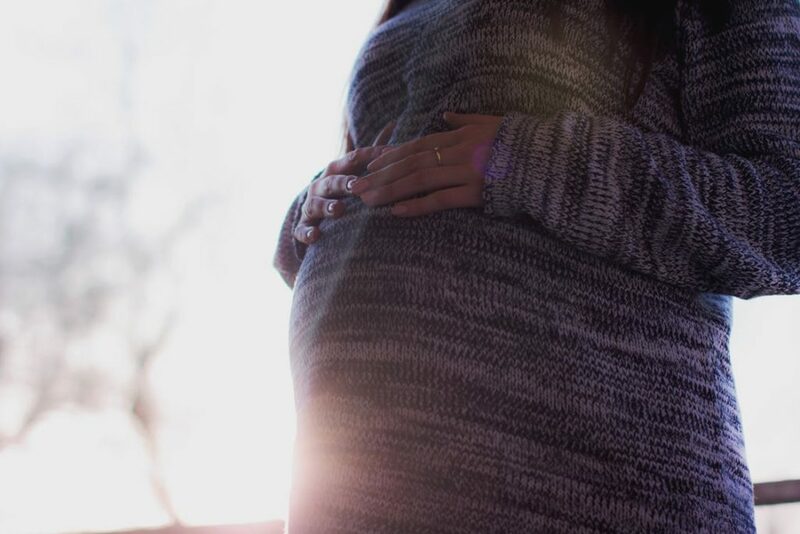 So if you have any questions regarding your health, or what steps you should take to lower the risk of complications during gestation, speak to your doctor ASAP. They’ll be willing to offer insight and assistance as needed. Sometimes kids get sick despite all the good you try to do to stop it from happening. As part of being a parent, you will naturally be there for them to help them nurse them through their ailment and get them back to full health as soon as possible. However, this can be tough if you catch the same bug that’s going around. It’s far better to try to stay as healthy as possible so that you can look after your little ones and get on with your work; here are some ways to do it. The idea of washing your hands after you use the bathroom when you’re cooking after you do anything or touch anything that is dirty, has been reinforced since we were all little. There’s a reason why our parents and teachers kept telling us to do it and why it’s probably a habit still today. Washing your hands can reduce the likelihood of you catching a bug or cold from your child. However, a quick rinse is not what we mean because that just doesn’t work effectively enough. You need to scrub your hands for around 20 seconds using warm water and soap if you want to rid yourself of the germs that could make you sick. For added security, you could use an alcohol-based hand sanitizer too; these can be great if you need to wash your hands and you’re nowhere near a sink. The healthier your immune system, the less likely it is that you will catch whatever it is that’s going around. That means eating plenty of fruit and vegetables and taking vitamin supplements if you need to. It also means keeping yourself as healthy as possible. If you smoke or drink too much, then quitting is your best option as these things can seriously compromise your immune system. Further, they’re not a great way to be a role model for your kids. If you find that giving up alcohol is hard on your own, check out rehab facilities to get the extra help you need. It will be worth it. 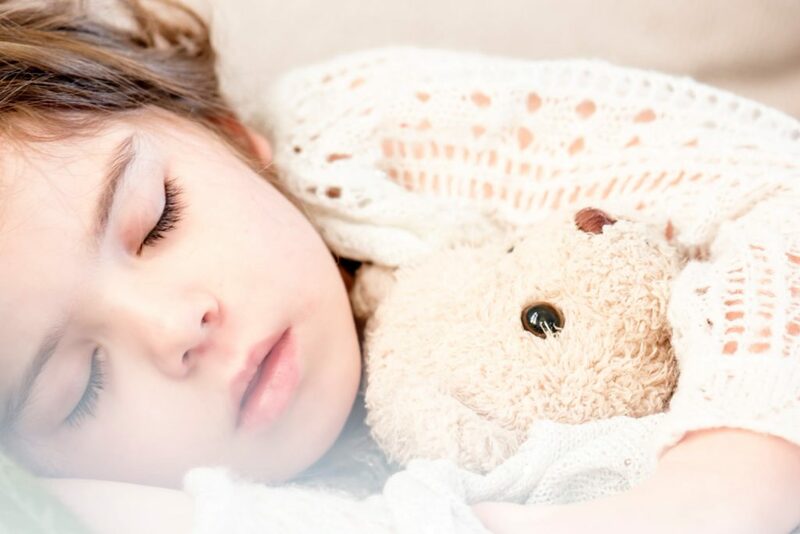 One rule to implement when your child is unwell is minimal sharing, as the more they share, be that toys, clothes or food, for example, the more chance there is that you may catch the illness. This is a hard thing to do, especially when your child is unwell, but if it stops you from getting sick, then it must be done. Viruses can’t travel beyond around three feet, so you don’t have to stay in a different room, for example; just don’t get too close. If your child needs soothing, then you can still be there for them, but aim to slightly keep your distance as this will help prevent you catching whatever they have. Tell them you love them as much as you can, and soon you will be able to get back to normal with everyone feeling great. It’s important to take parenting seriously, but not so much that you forget about yourself in the daily shuffle. You need to remain happy and healthy, so you have the energy to take care of the ones you love and feel good each day. It’s time to stop being unhappy about how much time you don’t have and start implementing strategies that are going to help you stay well and be a busy parent simultaneously. The good news is there are habits you can change and adjust that will aid you in your journey to taking care of yourself and being a good parent. You’ll get a lot further along with your health if you set wellness goals and ensure you are tracking your progress along the way. Determine what it is you want to accomplish and specifics about how you’re going to get there. For example, if you want to work out each day, then it may require you to set your alarm early in the morning and hit the gym before your family gets up. You can be a busy parent and stay healthy when you put your mind to it and create a schedule for you to follow each day that allows you to remain on track. Two habits that will help you guarantee you stay healthy if you practice them regularly is exercising and eating well. Make it a point to check these two items off your list daily if you want to function at your best and feel better overall. Set a time each day when you’ll workout and head to the grocery store on the weekends so you can prepare your meals ahead of time. Bring your lunch and healthy snacks to work to help you stay on track even when you’re at the office. While it’s going to be more challenging to move more and eat well when you’re also trying to parent, it’s possible to do so with the right mindset and structure in place that will help you succeed. It’s important you have your own life and hobbies you enjoy even though you’re also a parent. For example, challenge yourself to new recipes, building furniture or putting together silhouette Australia puzzles. You need to have ways to take your mind off your daily responsibilities and activities that make you feel proud of yourself. It’s important to remember that you have many additional talents and abilities besides being a good parent to your kids that are worth practicing and showing off. If you don’t have much free time as it is, then it may be time to start saying no to all you get asked to do and clearing your schedule for enjoying more fun. You have to learn to manage your stress if you’re going to stay healthy and be a busy parent. Start by making a daily checklist and prioritizing your tasks according to what’s most important. Get yourself a planner to help you keep your obligations in order and reduce the amount of worry you feel on a daily basis. In addition to this, you can practice yoga, take up meditation or go for long walks to decompress and slow racing thoughts. Too much stress will sneak up on you and cause you to act in ways you might later regret. Know your warning signs and catch stress and get it under control before it’s too late. Make time for play and spending quality time with your kids if you want to be a healthy parent. This is the kind of interaction where you need to relax a bit and embrace all the love you have for your children. While it’s important to teach your kids and be a good role model, there are other times when it’s healthy to get on the same level as them and show them how much you care about them and their activities. They’ll likely love this extra attention from you, and your family bond will grow stronger. Put your phone down once in a while and engage with your kids and find yourself having fun and laughing again. Always remember that you should come first before any tasks and even other people. The only way you’re going to be able to parent to the best of your ability is if you take care of yourself first. Start making more time for doing what you love and your self-care rituals daily. Write down what you’re going to do for you in your schedule, so you never forget to attend to your needs on a regular basis too. Getting lazy in this area will have you soon feeling exhausted, and you won’t have the energy or desire to put your best foot forward as a parent and spouse. Stop once in a while and notice the dialogue that’s going on in your head. Now is the time to push all of that negativity and pessimism aside and focus on what’s going right in your life. Practice positive self-talk regularly and gratitude, and you’ll quickly see your life situation isn’t so bad after all. Keep encouraging and reminding yourself that you have everything under control and are doing the best you can. Let what you do each day be enough and never stop patting yourself on the back for all your efforts and the love you show your family. Don’t use being a busy parent as an excuse for not taking care of yourself and slacking when it comes to self-care. These are a few excellent ways for how you can do it all and stay healthy at the same time. Stay focused on what you’re doing right and don’t let a few bumps in the road get you down or make you feel inadequate. Most importantly, remember to enjoy the ride and keep a smile on your face. Parenthood, thy name is stress. Running a household teeming with kids is hardly ever a picnic; whether it’s from newborn needs or from teenage angst, you’re going to have your fair share of sleepless nights as a parent. We all know the number that stress can do on you. Ranging from insomnia, mood swings, feelings of distraction and exhaustion, leaving your car keys in the freezer and forgetting you did so, stress does a number on your ability to think clearly and act accordingly. But did you know that the stress you experience can have a negative effect on, of all things, your oral health? It’s true — and here’s what you need to know about the connection between stress and oral health. Ever been so frustrated by someone or something that you’ve just had to clench your teeth in anger? Or maybe you’ve been worrying yourself over a problem in your head and you realize you’ve been grinding your teeth for minutes or possibly even hours? Jaw clenching and tooth grinding is a common stress response — you might even do it unconsciously in your sleep! Unfortunately, tooth grinding and jaw clenching is absolutely terrible for your oral health. Not only are you running the risk of damaging your teeth or their enamel, you’re also engaging in activity that’s a great way to earn yourself a headache or a sore jaw — or worse yet do damage to your temporomandibular joint (TMJ). Thankfully it’s not hard to treat tooth grinding. You can take steps during your waking hours to stay aware of what you’re doing and stopping the behavior, but to address an overnight problem you’re likely to need a dentist-approved mouthguard to stop yourself from grinding those teeth of yours down to nothing. One of the other big stress-induced oral health problems is dry mouth. While it’s normal to feel your mouth go dry in stressful situations — it’s part of your body’s fight-or-flight response — being under repeated stress means repeated instances of dry mouth, and this leads to some pretty unpleasant oral health issues that you’ll need to deal with. Your mouth relies on saliva to protect itself from harmful bacteria. Repeatedly experiencing dry mouth means there’s no saliva to wash that bacteria away, and that can lead to issues like bad breath and advanced tooth decay. Gum disease and infection are all more common as well when you’ve got constant dry mouth, so it’s a bad scene all around. There are ways to treat dry mouth. Chewing sugar-free gum can trigger saliva production, for instance, and you’ll have fewer problems doing so if you also stay away from caffeinated beverages and alcohol-based mouthwash. You should also consult your family dentist for the best ways to prevent and control chronic dry mouth. Thankfully, good oral hygiene practices, along with some help and advice from your dentist, can help resolve any of these stress-based oral health issues if you find yourself experiencing them. The best way to resolve these oral health problems more definitively, though, is to seek out the root of what’s causing them: your stress. While it’s unlikely you’ll be able to just drop everything and take two weeks to lie on a beach somewhere, there are always little ways to de-stress and relax at home, even in the hectic life of a parent. Tag in your partner or another family member when you need a break. Get more sleep, drink plenty of water, listen to your favorite music, rob a bank — whatever works for you! If giving birth wasn’t painful enough, you then have to deal with a host of other problems. In fact, it probably feels as if your body is never going to be the same again! Celebrity mums seem to snap back into shape the moment their baby arrives. For the rest of us, life isn’t so kind. Unfortunately, it is very common for new moms to suffer from a backache in the days and weeks post-birth. Your body has been through an awful lot, with a host of physical changes to contend with. You probably gained a few extra pounds when you were pregnant, on top of the extra baby weight you had to lug around for nine months. This extra weight will have put a lot of extra stress on your pelvic region, including your lower back. And, to make matters worse, ligaments will have softened and joints loosened, all thanks to pregnancy hormones. There is also the issue of poor posture. After all, who can stand up straight when their belly is huge? Backache post-pregnancy is very common. Many moms associate back pain with pregnancy, but like those extra few pounds, back pain is one annoying problem that doesn’t always melt away when the baby arrives. The human body is a wonderful thing, but it needs time to recover from the rigors of childbirth. You have to give yourself a break and try not to do too much. Instead of rushing around cooking, cleaning, and taking care of a newborn baby, rest, recuperate, and let other people do the heavy lifting for a few weeks. It is important that you give your body a chance to heal. Rest is a great healer, especially if your back is sore after the birth. Being overweight is another factor. The more weight you are carrying, the more strain it places on your back. As discussed already, your back and core muscles are likely to be weaker than normal post-birth, so carrying extra weight won’t help. Where possible, stick to a healthy eating plan and breastfeed your baby, as breastfeeding is great for post-partum weight loss. Try and include gentle exercise in your daily routine. You might not feel like going out, but a bit of fresh air will be good for you and your baby. It strengthens your muscles and may help the baby get to sleep. Be careful when feeding your baby. Poor posture is a trigger for back pain. Many new mums hunch over when feeding their baby. Try to sit back when encouraging your baby latch on or take the bottle. Once you feel more energetic, consider joining a fitness class for new moms. Yoga or Pilates are very useful for helping ease back pain. If this doesn’t help, consult an echiro practor or ask your doctor to refer you to a physio. Back pain is mostly nothing serious, but if you experience any other worrying symptoms or the pain isn’t helped by over-the-counter painkillers, speak to your doctor for advice.